Raising awareness of the raw materials for modern life and exploring career opportunities in the raw materials sector. 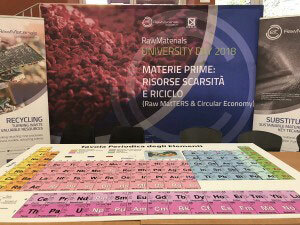 This fall, EIT RawMaterials university partners from Italy, University of Padova and the University of Milano-Bicocca, opened its doors to the second edition of the RawMaterials Univerity Day 2018. 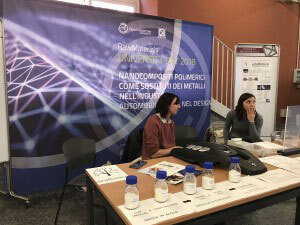 The second edition of RawMaterials University Day (RMUD) in 2018 took place over two days, on 27 and 28 September 2018, at the University of Padova in Italy. 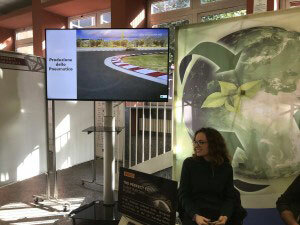 The RMUD events were part of the open dissemination event of the University of Padova entitled NEMES (Non è magia è scienza – It’s science, not magic). This successful event has taken place annually since 2007 and is open to the general public of the city of Padova. EIT RawMaterials staff Dr Floriana La Marca, Education Manager, and Ellie Stephenson, Education Project Manager, ran a session on both Thursday and Friday, opening with a presentation of the problems we face in Europe concerning raw materials supply and the career opportunities in the sector, and followed by an interactive team quiz. Each session was attended by approximately 60 students. The target audience for this session was students (age group 10-16), particularly school leavers (age group 17-18), although all the NEMES and RMUD activities were open to the general public as well. 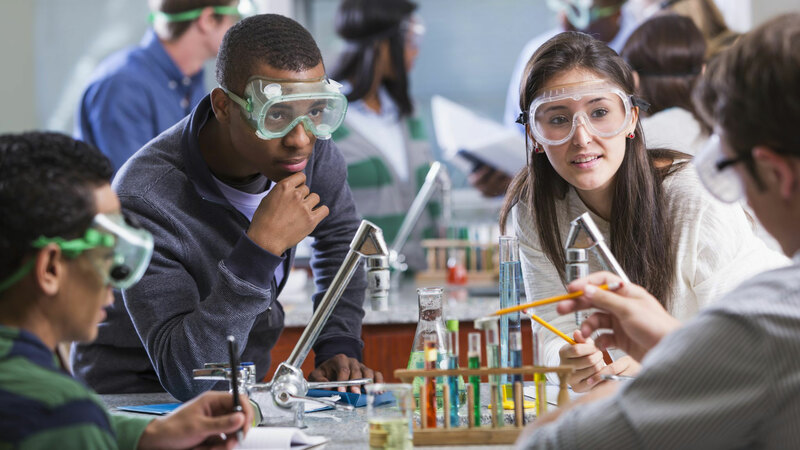 Students had the opportunity to participate in real laboratory experiments and watch demonstrations. These included how to obtain coloured flames and how to use this test to identify metals; and using the same principle, to show how fireworks are made. Simple, harmless yet spectacular chemical reactions were performed with substances readily available in a supermarket or pharmacy. Students also learnt how polymers can be produced relatively easily, forming the molecules for the plastics and resins that we encounter in everyday life. There were presentations on the circular economy and on the critical elements contained within a smartphone. The RMUD activities also included many fun and interactive learning experiences, including board games on critical raw materials. 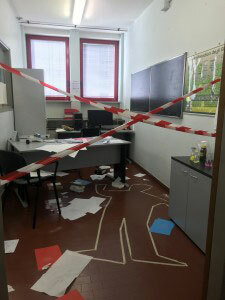 A particular highlight was the Crime Scene activity, where four teams of pupils examined the clues from a hypothetical crime scene set up in one of the department’s laboratories. 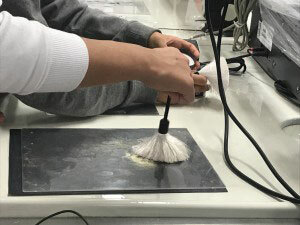 Students completed tasks such as testing fingerprints using different raw materials in order to solve the case. Older students also tackled an entrepreneurial challenge: to create a new company in the field of electronic waste. Organised in teams, they planned an entrepreneurial activity based on both their previous knowledge and the knowledge given by two experts, considering problems such as raw materials in electronic devices, circular economy and environmental sustainability and the product life cycle: recycling and reuse in the context of a sustainable business model. 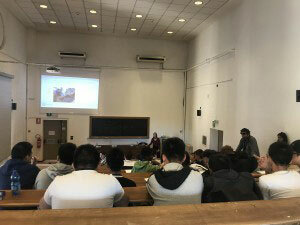 Study and career opportunities specifically targeted to Bachelor, Master and PhD degree students in the area of raw materials research and technology were demonstrated with live testimonials from the Alumni di Chimica UniPd group, dedicated talks of invited speakers from industry, and specific info points dedicated to careers in this area. Many students already involved in their thesis work were actively involved as demonstrators and speakers. The entire raw materials value chain was highlighted with a particular emphasis on processing, recycling, substitution and circular economy. 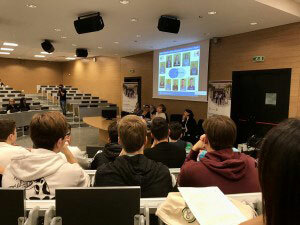 The 3rd edition of RMUD in 2018 took place at the University of Milano-Bicocca on 25 October 2018, with over 200 students participating. 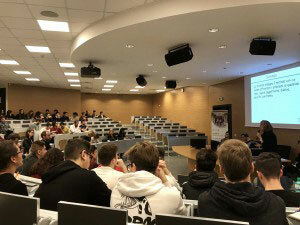 The day opened with a conference event aimed at students in their final years of school and Bachelor level students in science and engineering. An opening speech from the university’s Pro Rector for Research, Professor Gianfranco Pacchioni, was followed by three inspiring presentations: Professor Cinzia Cristiani of Politecnico di Milano spoke about the problems we face as a society related to raw materials, Dr Armida Torreggiani from the Italian National Research Council presented the successful schools network RM@Schools and Dr Floriana La Marca, Education Manager at EIT RawMaterials Innovation Hub (CLC) South, discussed the exciting study and career opportunities in the raw materials sector. The session closed with a quiz on raw materials, run by Ellie Stephenson, Education Project Manager at EIT RawMaterials. Students could participate interactively via their smartphone to win a portable power bank. 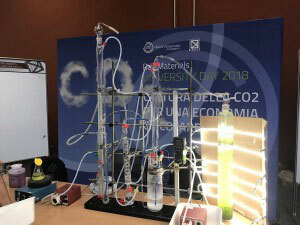 In the afternoon, students could visit the university’s laboratories and participate in interactive thematic workshops, including those run by successful spin-offs of the University of Milano-Bicocca, covering topics such as biomaterials and nanotechnology. 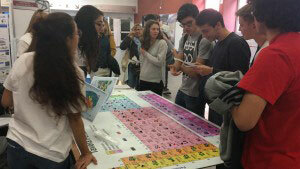 There were also stands set up in the department foyer with games and experiments. 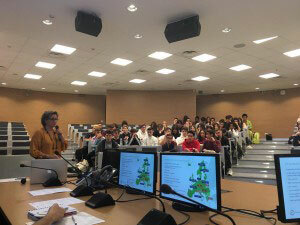 For example, representatives from the RawMaterials Ambassadors@Schools project invited participants to play a game about critical raw materials and the elements found in a mobile phone, and the company Minerali Industriali SRL and university spin-off Graftonica presented their activities and answered questions about career opportunities in the sector.